Trump’s on again, off again, potentially on again tactics in dealing with North Korea reflect a leader out of his depth in dealing with sensitive geopolitical issues. Reportedly White House and State Department officials are heading to Singapore for talks with their North Korean counterparts on summit issues and logistics. On Thursday, Trump’s John Bolton-led National Security Council discussed imposing new sanctions on North Korea, along with possible military action. 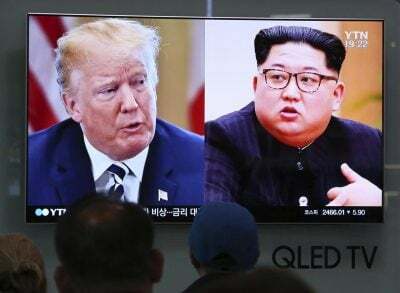 Though likely on hold given the latest comments by both sides, signaling summit talks may be back on, it shows US hostility toward North Korea is unrelenting – talks or no talks. Washington tolerates no sovereign independent countries, wanting them all transformed into US client states, North Korea no exception. It’s why summit talks, if they take place, will afford the DPRK no believable commitment by Washington to respect its sovereign independence. At best, stepping back from the brink short-term alone is possible if talks conclude successfully – a big if. US duplicity virtually assures no Trump administration commitment for peace and stability on the peninsula, no iron-clad guarantees Pyongyang seeks, no meaningful benefits from dealing with Washington – notorious for consistently reneging on promises made. Washington invents enemies to justify unconscionable amounts of military spending unrelated to defense, its hostile empire of bases, and permanent war agenda. Since an uneasy armistice ended Pentagon aggression against North Korea in 1953, the country served as a convenient US punching bag. China is America’s main regional adversary, wanting the country marginalized, weakened, isolated and contained – regime change Washington’s longterm goal. The same goes for North Korea. Though wanting summit talks with Trump, its officials clearly know they’re dealing with a duplicitous regime – wanting things one-sidedly its way, delivering nothing in return but empty promises.